Two 9 month old rescue boys. most are XL but there is a couple of the tower in there too. 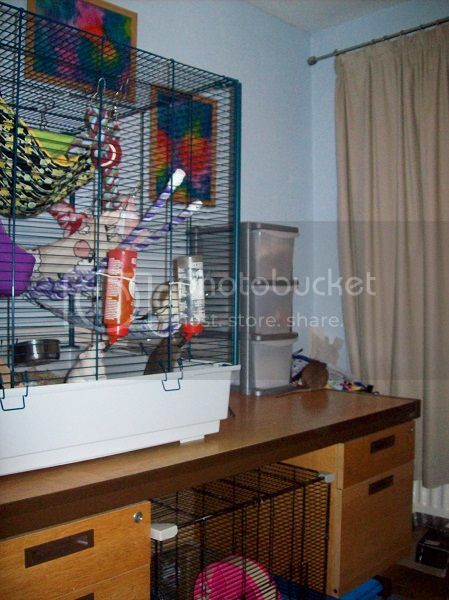 This is the only photo I can find of mine, with rats for scale! I've got one, your best bet is to raid poundland for baskets and bits to maximise the space as they are so deep, I got some fillable plastic eggs in there too which are great if very temporary fun!